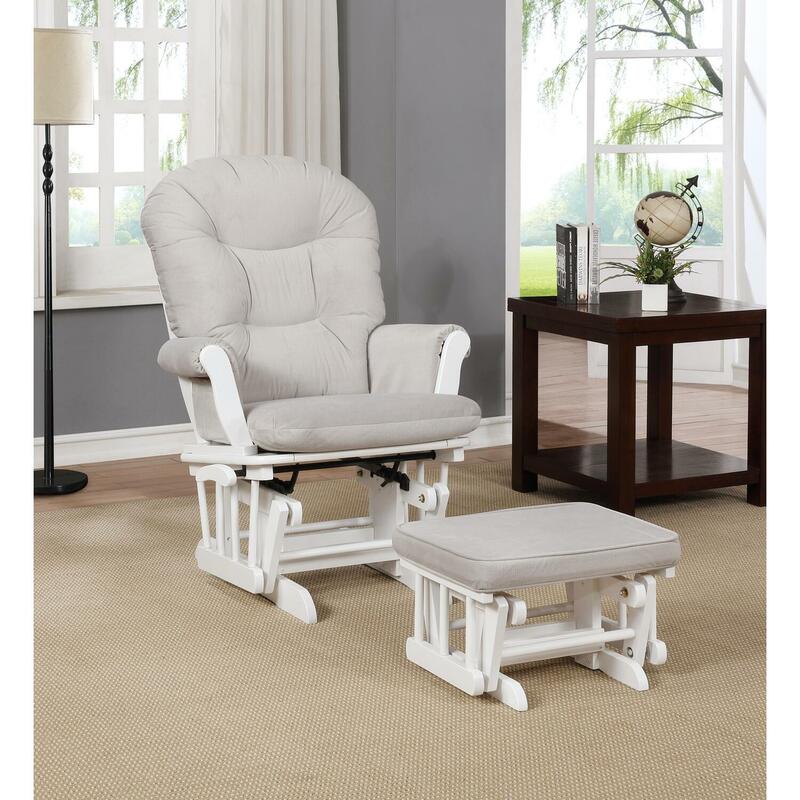 This cozy glider rocker and ottoman combo is ideal for nursing or simply relaxing. The Naomi Home Mira Glider & Ottoman Set offers an incredibly smooth gliding motion which aides in relaxation. Padded arm cushions and thickly cushioned seat provide extra comfort when rocking the little one to sleep. Overstuffed side pockets make for a convenient storage space for those quick grab necessities. This glider was crafted with no sharp edges to provide that extra level of safety. Relax and kick your feet up with the Naomi Home Mira Glider & Ottoman Set.